I was sad to read engineer Girma”s opinion about Siye. I am not a supporter of any grouping, but I think it is good to throw some words to Ato Engineer Girma. The Engineer is condemning Siye Abraha for reaching out Ethiopians. He is saying he must not talk to what he calls his mortal enemies, altogether. 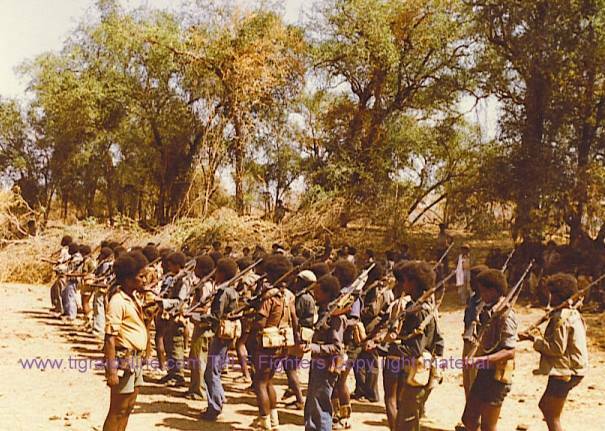 It is being said Siye’s Audiences were about 2000 and more Ethiopians. These are our citizen and it has been said that they have been cheered by Siye’s assertions. Condemning Siye’s reaching out is tantamount to condemning the 2000 or more people altogether. This is an utterly wrong perception of our brother engineer. Siye has been through thick and thins. He has a better and deeper understanding of life and politics than our brother engineer. Life is the best teacher. If Siye has to keep account of his enemies, would not be Meles a mortal enemy of Siye himself? Siye has not only reached out to Ethiopians in exile, but Siye has promised to work with Meles without bearing grudge or resentment about what has happened to him. Siye is forgiving everyone. I do not think Siye has enemy now because he has even forgiven to Meles Zenawi, his own bosom friend who has incarcerated him for six years. What about if Siye could have perished in the prison? He came out as an emaciated person. Ato Girma, do you see that? Do you feel it? If you would be in his shoes what would you do? According to you, Meles must be a mortal enemy of Siye? Which is not good. Siye is in the right direction. I say to Siye keep up the good work and keep up reaching out Ethiopians and bring reconciliation and unity to our people. We do not need grudge. Grudge brings another drudge. It is hard to forgive, it requires the maturity of the person’s soul and flesh. In my view, it is not important to keep record of drudge for the rest of our lives. We need to move forward and put our past behind. This is what I personally do not like and this is really what is keeping our country in constant conflict because we inherit conflict and we pass it. I wish if the ruling party could listen to us and do some changes according to the interest of the citizen, we could move on and work together to solve the big and horrendous problems our people in Ethiopia have been facing and are still facing. According to me, there is no point dwelling in the evil of the past. Dwelling in the evil of the past can only serve as a shackle to tomorrow. Let people be given a second chance, even those whom I have read they are sentenced to death for the killing of Howzien. Will that death sentence bring our people back to life? The people who did that were arrogant and ignorant who were filled with pride and cruelty. We should not treat people they way the other people treated us, otherwise we would not be better than them. Thus, engineer Girma, I would request you to allow people to apply their mind and to give them the freedom and liberty to do what they wish to do. I am having the perception that you wanted Siye to do the things you wish him to do. Siye is a different person from you. He uses his brain and he is entitled to do what he wishes to do as long as it is peaceful. Siye’s reaching out does not harm anyone. He has rather cheered many people. It is unfair when you deny people their rights because they do things which you do not like them?